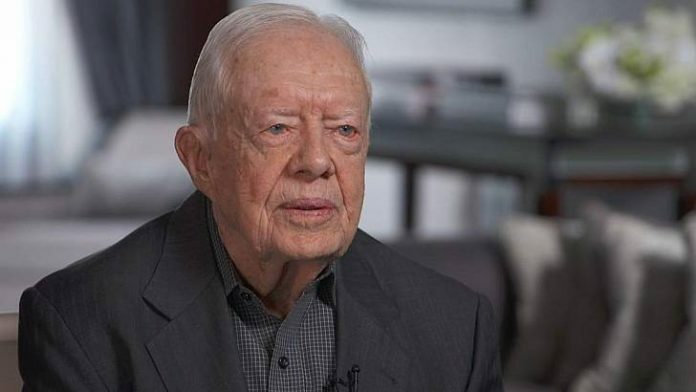 Donald Trump’s choice of war hawk John Bolton to lead the National Security Council has been slammed by former president Jimmy Carter. He said that Bolton’s appointment is the worst mistake Donald Trump has made and the effects of the move could be disastrous. RT reports: Bolton, known for beating the drums of war against North Korea and Iran, and pushing for the 2003 invasion of Iraq, is set to formally take office on April 9, ahead of Trump’s planned talks with Kim Jong-un. Carter, who last year volunteered to travel to North Korea on behalf of the Trump administration together with McMaster, said that Bolton’s appointment is “the worst mistake [Trump] made”, speaking to CBS This Morning on Monday. “I have been concerned at some of the things he’s decided. I think his last choice for national security adviser was very ill-advised,” the veteran Democrat, who served as the US President from 1977 to 1981, said. In an interview with USA Today, Carter did not mince his words, calling Bolton’s promotion “a disaster for our country,” noting that the new national security adviser has been a long-time advocate of war with North Korea, a preemptive strike on Iran and was one of the driving forces behind the Iraq invasion, which was based on flawed intelligence. Former Israeli Defense Minister Shaul Mofaz has recently revealed that Bolton, when he was a US envoy to the UN, tried to convince him that Israel must launch an attack on Iran, advice that Mofaz was reluctant to heed. Bolton will assume his post shortly after Mike Pompeo, who mirrors Trump’s hardline stance on Iran and North Korea, will be sworn in as Secretary of State. What seems like the US leader’s intent to encircle himself with yes-men is particularly troubling, Carter argued. With the formal date for the much-anticipated talks between Washington DC and Pyongyang yet to be set, Carter advised Trump to “listen very carefully” to what North Korea wants to convey. Citing his record of dealing with the crisis on the Peninsula, which has been in limbo for years, Carter argued that what North Korea seeks is a guarantee, confirmed by the participants of Six Party talks, including China and Russia, that it would not be attacked by the US if it relinquishes its aggressive stance towards the US allies in the region. The former president stressed that it would require a trade-off, with the US potentially phasing out its military presence or canceling wargames that are “deliberately designed to antagonize” the North.